Edited By Kathryn Harrison and Lisa McIntosh Sundstrom, 2010. Climate change represents a “tragedy of the commons” on a global scale, requiring the cooperation of nations that do not necessarily put the Earth’s well-being above their own national interests. And yet international efforts to address global warming have met with some success; the Kyoto Protocol, in which industrialized countries committed to reducing their collective emissions, took effect in 2005 (although without the participation of the United States). Reversing the lens used by previous scholarship on the topic, Global Commons, Domestic Decisions explains international action on climate change from the perspective of countries’ domestic politics. In an effort to understand both what progress has been made and why it has been so limited, experts in comparative politics look at the experience of seven jurisdictions in deciding whether or not to ratify the Kyoto Protocol and to pursue national climate change mitigation policies. By analyzing the domestic politics and international positions of the United States, Australia, Russia, China, the European Union, Japan, and Canada, the authors demonstrate clearly that decisions about global policies are often made locally, in the context of electoral and political incentives, the normative commitments of policymakers, and domestic political institutions. Using a common analytical framework throughout, the book offers a unique comparison of the domestic political forces within each nation that affect climate change policy and provides insights into why some countries have been able to adopt innovative and aggressive positions on climate change both domestically and internationally. Kathryn Harrison is Professor in the Department of Political Science at the University of British Columbia. 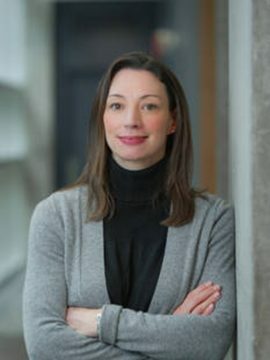 Lisa McIntosh Sundstrom is Associate Professor in the Department of Political Science at the University of British Columbia.